We offer “Same Day Call-Ahead” for large parties. Please email us a list in advance, with each guest’s full name (first and last name required) with exact service(s). We kindly ask that you provide a specific list of services, because upgrading or adding a service may not be available when you arrive. Please consider that we reserve this time according to the list you provide, cancelling or adjusting a service when you arrive affects the timing of our call-ahead list for other clients. If your desired date and time is available for your party, your list will then be updated into our calendar. This process will lessen your confirmation call when you confirm your party’s arrival with us on the morning of your event. Please be aware that if anyone in your party is not present at The Nail Bar when we call her/his name, we must move on to the next client on our list. 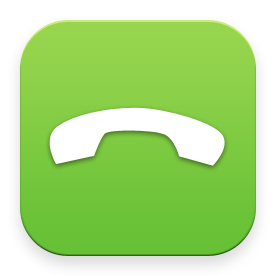 Important: A confirmation call is needed, on the morning of your event, to confirm your call-ahead party arrival. You must speak with our receptionist directly to confirm. No Call-Ahead Party at Opening Hour: We will not hold time slots for large parties who want to arrive at opening hour. Large call-ahead party starts an hour after we open. We must accommodate our morning walk-ins before any call-aheads. Our Recommendation: Choose a time (an hour after opening), send us your list with all the required information and call us as soon as we open on the morning of your event to confirm your party’s call-ahead arrival. Need a table for your event? Please feel free to bring your own beverages/small plates, decorations etc.! Upon request, please let our receptionist know that you would like to have a table set up for your party during your confirmation call. We have held many intimate and fun gatherings at The Nail Bar and we look forward to doing the same for you.